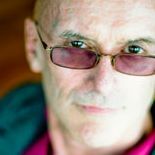 Born in 1949 in Oklahoma City, Ken Wilber completed high school in Lincoln, Nebraska, and studied medicine at Duke University and later biochemistry, but eventuallly dropped out of university to devote his time to his own curriculum of study and writing books. With sixteen books on spirituality and science, and translations in twenty countries, Wilber is now the most translated academic author in the United States. He is considered the foremost authority of the subject of transpersonal psychology, a field that emerged in the sixties from humanistic psychology which concerns itself explicitly with spirituality. For the fundamental and pioneering nature of his insights, Wilber has been called “the Einstein of consciousness”. A pioneer in the field of mind body medicine, Deepak Chopra is a best-selling author and speaker, with more than 35 books including, Seven Spiritual Laws of Success, which has sold more than 2.0 million copies, and 100 audio, video, and CD-ROM titles in print. Chopra’s books have been translated into more than 30 languages, with more than twenty million copies sold worldwide. In 1999 Time magazine selected Dr. Chopra as one of the Top 100 Icons and Heroes of the Century, describing him as “the poet prophet of alternative medicine. Dr. Jean Houston, scholar, philosopher and researcher in Human Capacities, is one of the foremost visionary thinkers and doers of our time. She is long regarded as one of the principal founders of the Human Potential Movement. In 1965, with her late husband Dr. Robert Masters, Dr. Houston founded The Foundation for Mind Research. She founded of the Mystery School, now in its 25th year, a program of human development, mythic and spiritual studies. A prolific writer and author of 25 books, Houston has been advisor to Fortune 500 corporations, to the Dalai Lama, to President and Mrs. Clinton, and earlier to Eleanor Roosevelt. Dr. Houston holds a B.A. from Barnard College, a Ph.D. in psychology and a Ph.D in religion, and is the recipient of numerous honorary decorates. She has taught at Columbia University, Harvard Divinity School, Hunter College, New School for Social Research, Marymount College, University of California at Santa Cruz and the University of British Columbia. Dr. Houston has chaired more academic and scientific convocations, and been the recipient of more national and international awards than are mentionable. Matthew Fox was a member of the Dominican Order for 34 years and established an Institute in Culture and Creation Spirituality. Objecting to Fox’s “feminist theology”, his use of the term “original blessing” rather than “original sin”, his refusal to condemn homosexuality, and his embrace of Native American and wikka traditions, Cardinal Ratzinger, shut down the Institute by silencing Fox for one year and later expelling him from the Order. Rather than disband his ecumenical faculty, Fox founded the University of Creation Spirituality, a curriculum that includes the wisdom of Hildegard of Bingen, Meister Eckhart, the mysticism of Thomas Aquinas, and contemporary scientist-mystics. Fox is a lecturer and author of 28 books, recipient of numerous awards and originator of the “Techno-Cosmic Mass” mixes dance, music, and contemporary art forms with the western liturgical tradition. Fox has committed himself to his life to “reinventing work, education and worship that can bring about a non-violent revolution on our planet.” He resides in Oakland, California. Roshi Joan Jiko Halifax, Ph.D.
Roshi Joan Halifax Roshi is a Buddhist teacher, Zen priest, anthropologist, author, and Founder, Abbot, and Head Teacher of Upaya Zen Center, a Buddhist monastery in Santa Fe, New Mexico.Roshi Joan has worked in the area of death and dying for over thirty years and is Director of the Project on Being with Dying. Active in environmental work for the past twenty-five years, she is a Founding Teacher of the Zen Peacemaker Order. As Founder and Director of the Upaya Prison Project, Roshi Joan develops programs on meditation for prisoners. She is founder of the Ojai Foundation, an Honorary Research Fellow at Harvard University, and has taught in numerous universities, monasteries, and medical centers around the world. Halifax was a student for ten years of Zen teacher Seung Sahn. She received the Lamp Transmission from Thich Nhat Hanh, and was given Inka by Roshi Bernie Glassman. Keith Critchlow, integral architect, is an internationally acclaimed lecturer on Islamic art and Sacred Geometry, who has authored over a dozen books including Islamic Patterns (Inner Traditions) and Order in Space: A Design Source Book (Thames & Hudson). For many years, Dr. Critchlow was Director of Research and Traditional Arts at the Prince of Wales Institute of Architecture in England. He was born in the UK in 1933, and educated at the famous Summerhill School and the Royal College of Art. Committed to designing only sacred buildings, Keith’s most acclaimed structures are the Sathya Sai Institute of Higher Medicine in India, and the Krishnamurti Centre in the U.K.
JP Harpignies is an Associate Producer of the annual Bioneers conference. For decades, JP has been program consultant and conference producer for the New York Open Center, one of the nation’s leading holistic learning institutions. Harpignies is the author of two books, Political Ecosystems and Double Helix Hubris,a critique of genetic manipulation. Editor of a new collection, Visionary Plant Consciousness, J.P. was Associate editor of the first two Bioneers books, Ecological Medicine and Nature’s Operating Instruction. J.P. is a contributing editor for the journal Lapis and co-founder of the Eco-Metropolis conference in New York City. He has been a master and instructor of the martial art Ta’i Chi Chuan in New York for 23 years.